Stefan Smith has a professional background converging with finance and accounting, having worked with public and private corporations in diverse industries over more than two decades. Mr. Smith holds a bachelor's degree from Boston University and a Juris Doctorate from Loyola Law School and is licensed by the state of California as an attorney. 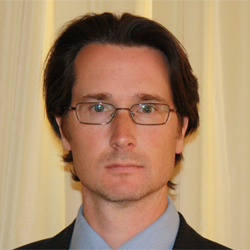 For the past twenty years he has been involved with the biofeedback community and has served as the operations manager and controller for The Quantum Academies since its inception, with a focus on providing the necessary tools and information for biofeedback practitioners to be successful in their field of study. Mr. Smith also donates one-fifth of his work providing accounting services for a church organization.